Our goal was to create a curriculum that more explicitly integrated the three essential elements of the transformative process – the psychological, the spiritual and the somatic. Each of these elements has been included in our work since the beginning, but all are now more developed and interwoven. 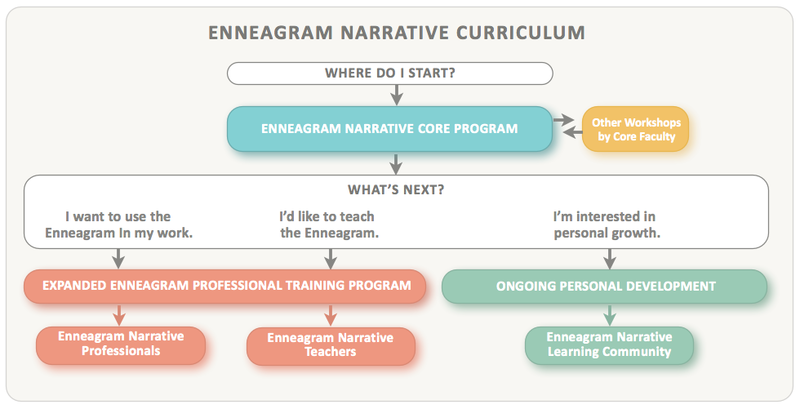 Our new, comprehensive Enneagram Narrative Curriculum is shown in the diagram below. This rich, integrated structure makes it easy to find just the right programs for you.